EXIM Bank Limited was established under the rules & regulations of Bangladesh bank & the Bank companies’ Act 1991, on the 3rd August 1999 with the leadership of Late Mr. Shahjahan Kabir, founder chairman who had a long dream of floating a commercial bank which would contribute to the social-economic development of our country. He had a long experience as a good banker. A group of highly qualified and successful entrepreneurs joined their hands with the founder chairman to materialize his dream. Indeed, all of them proved themselves in their respective business as most successful star with their endeavor, intelligence, hard working and talent entrepreneurship. Among them, Mr. Md. Nazrul Islam Mazumder became the honorable chairman after the demise of the honorable founder chairman. To be most caring and customer friendly and service oriented bank. To ensure ethics and transparency at all levels. Provide high quality financial service in export and import trade. The Shariah auditor is assigned the task of revising the Bank’s transactional procedures throughout the year to check the extent to which the staff members and the different departments have abided by the regulations. Advices and Fatwas issued by the Fatwa & Shariah Supervision Board, forums, & banking conferences. As well as, assuring that all the contracts that states a right for the Bank or an obligation on the Bank is certified by the Fatwa & Shariah Supervision Board. Export Import Bank of Bangladesh Limited is the 1st bank in Bangladesh who has converted all of its operations of conventional banking into sharah-based banking since July/2004. We offer banking services for Muslims and non-Muslims alike allowing our customers choice and flexibility in their savings and investments. Our products are approved by our Shariah Board comprising of veteran Muslim scholars of our country who are expert in all matters of Islamic finance. The process by which Noriba’s investments are designed and executed allows the Bank to offer a combination of Shariah compliance and capital markets expertise that is unique throughout the world. Noriba is committed to the strict adherence to the requirements of the Shariah as a result of the Bank’s sole focus on Shariah-compliant investments and the full supervision of its financial products and transactions by the Noriba Shariah Board. Noriba experts specifically design each of the Bank’s investment vehicles with the approval of the Noriba Shariah Board. Once the given product or transaction has been arranged, the Noriba Shariah Board carefully screens it for compliance before giving final approval for its implementation. This control mechanism guarantees that all aspects of Noriba’s final products and banking transactions are in adherence with the guidelines of the Shariah. In the year 2005 the total reserve was tk. 569.99 in million, but in the year 2006, it was increased on tk. 240.89 in million. So in the year 2006 was tk. 810.88 in million, at the year of 2009 it is reached at tk. 2,092.97 in million. Deposit is one of the principal sources of fund for investment of commercial banks and investment of deposit is the main stream of revenue in banking business. The total deposit of the bank stood at Tk.41, 546.57 million as on December 2007 against Tk. 35,032.02 million of the previous year which is an increase of 18.60%. This growth rate may be termed as a remarkable achievement for the bank. The present strategy is to increase the deposit base through maintaining competitive rates of profit and having low cost of funds. Total investment of the bank was tk. 68,609.91 million as on 31st December 2009 against tk. 53,637.68 million as on 31 December 2008 showing an increase of tk. 14,972.23 million with a growth rate of 27.91%. The Bank Follows appropriate Investment Risk Analysis while approving investments to Customer in order to maintain quality of assets. The size of the investment portfolio as on 31st December 2009 was tk. 2,169.44 million (excluding investment in subsidiary) million while it was tk. 2,894.02 million in 2008. The portfolio comprises mainly of Bangladesh Government Islamic Investment Bond and Shares of different companies. The total import business handled by the bank during the year 2005 was Tk.41432.10 million as compared to Tk. 26781.70 million in the previous year an increase. The significant items of imports were industrial raw materials, consumer goods, machinery, Fabrics and accessories etc. 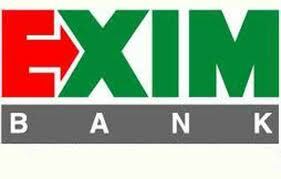 As on 31st December, 2009 EXIM bank opened 36,834 letters of credit and the import volume stood at tk. 83,911.51 million with previous year of tk. 78,540.49 million. The total volume of export handled by the bank during 2005 was TK. 31285.37 million compared to TK. 22418.40 Million in the previous year are an increase. As on 31st December, 2009, the Bank handled 33,575 export bills for tk.76, 240.77 million while it was tk. 76,465.62 million in the previous year. The SWIFT services helped the bank in sending and receiving the messages and instructions related to our NOSTRO account operations and L/C related matters. We have brought 6 of our Branches under SWIFT network. Other Branches will come under the network hopefully by the year 2004. Besides we have BKE arrangements with 430 Bank Branches in 100 countries. Board Bazar SME Service Center. KDS Logistic Bhaban, Sonaichhori, Shetakundo, Chittagong. Corporate profile Of EXIM Bank Ltd.
Five Years Financial Performance at a glance of EXIM Bank Ltd.